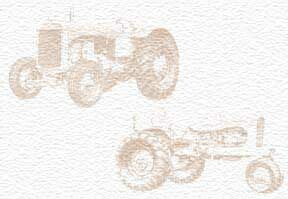 My father Hardy Jordal purchased Honken Farm Equipment in 1948. Prior this he farmed with A-C in the Buffalo Center area. The orignial location was off the Mill Road in NW corner of Buffalo Center. In the late 50's he bought the roller skate arena on Highway 9 west of town and moved the shop out on the highway. After the sale in 1971 this location became a fiberglass manufacting plant that primarily made sprayer tanks. Buffalo Center did not have an Allis dealer till the mid 70's when Keiwit & Sapp opened a new dealership on the otherside of the high just a few hundred feet SW of this location.